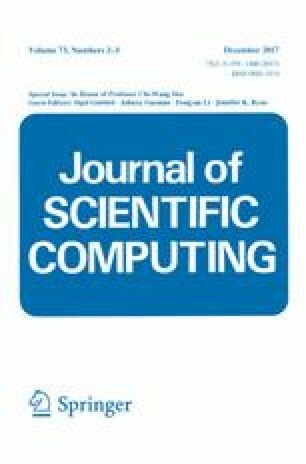 In this paper, we develop a class of high order conservative semi-Lagrangian (SL) discontinuous Galerkin methods for solving multi-dimensional linear transport equations. The methods rely on a characteristic Galerkin weak formulation, leading to \(L^2\) stable discretizations for linear problems. Unlike many existing SL methods, the high order accuracy and mass conservation of the proposed methods are realized in a non-splitting manner. Thus, the detrimental splitting error, which is known to significantly contaminate long term transport simulations, will be not incurred. One key ingredient in the scheme formulation, borrowed from CSLAM (Lauritzen et al. in J Comput Phys 229(5):1401–1424, 2010), is the use of Green’s theorem which allows us to convert volume integrals into a set of line integrals. The resulting line integrals are much easier to approximate with high order accuracy, hence facilitating the implementation. Another novel ingredient is the construction of quadratic curves in approximating sides of upstream cell, leading to quadratic-curved quadrilateral upstream cells. Formal third order accuracy is obtained by such a construction. The desired positivity-preserving property is further attained by incorporating a high order bound-preserving filter. To assess the performance of the proposed methods, we test and compare the numerical schemes with a variety of configurations for solving several benchmark transport problems with both smooth and nonsmooth solutions. The efficiency and efficacy are numerically verified. W. Guo: Research is supported by NSF Grant NSF-DMS-1620047. J.-M. Qiu: Research supported by NSF Grant NSF-DMS-1522777 and Air Force Office of Scientific Computing FA9550-12-0318. Dedicated to Prof. Chi-Wang Shu on his 60th birthday. We are grateful to Dr. Ram Nair from National Center for Atmospheric Research for helpful discussions.